Another side step. Mark Brake, the author of Mark Brake’s Space, Time, Machine, Monster (featuring sections on Doctor Who) reviews the second edition of BBC 2's Tomorrow’s Worlds – a programme about the history of sci-fi. The greatest alien invasion in history began on bicycle. 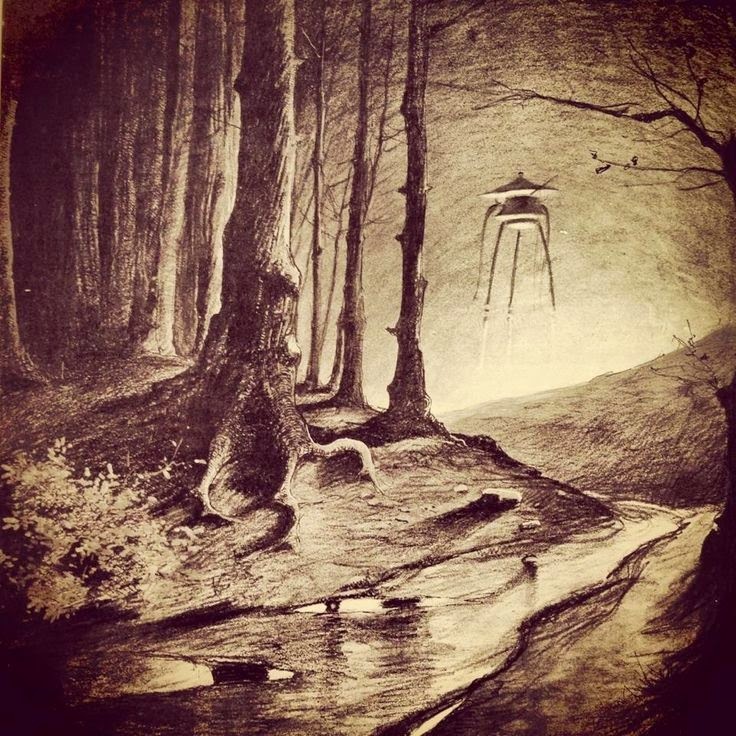 HG Wells planned The War of the Worlds as he,“wheeled about the district marking down suitable places and people for destruction by my Martians”, as early as 1896. It’s intriguing to picture him mapping mayhem as he declared his intentions to,“completely destroy Woking – killing my neighbours in painful and eccentric ways – then proceed via Kingston and Richmond to London, which I sack, selecting South Kensington for feats of particular atrocity”,(indeed, it’s South Kensington that is haunted by the sound of the Martians howling,“Ulla, ulla, ulla, ulla”in Wells’ finished story). It’s the exquisite violence of Wells’ imagination that marks his genius. And it’s this delicious balance between the suburban and the alien that is the focus of the second episode of Dominic Sandbrook’s Tomorrow’s Worlds: the Unearthly History of Science Fiction.Sandy, as viewers have come to affectionately know him, almost adopts a space/time/machine/monster structure to this series, but instead of ‘monster’, and as an historian whose expertise includes the Cold War (he’s written a biography on McCarthy), he’s sticking to what he knows most about - invasion paranoia! Sandy opens this second programme with War of the Worlds, the key Victorian sci-fi work he conveniently skipped in episode one, as it would have ruined his thesis. He correctly identifies War of the Worlds as the most enduring alien invasion myth of the 20th century. Wells’ story was essentially copied many times, and adapted directly by Orson Welles in his famous radio broadcast in 1938, when broadcast radio was only 20 years old, making the programme exceptionally innovative, daring, and all the more scary to listeners (Sandy omitted to mention that Welles’ radio version was a Halloween broadcast, making it even scarier). Another reworking of the War of the Worlds myth was the 1996 movie, Independence Day. As Sandy says, compared to the original, Independence Dayis totally overblown. Quiet suburban streets are replaced by a ‘drama’ played out in the seats of power, with the world’s landmarks taking a twatting (the film’s director, Roland Emmerich says they took great delight in blowing up the White House). But Sandy is right when he suggests that this big budget demolition lacks a psychological punch. When you remove the invasion from suburbia, you lose the sublime tension. It seems that Spielberg was well aware of this, as both Close Encounters and E.T. do the job brilliantly. And this brings me round to the topic of Doctor Who. A few years ago, I was speaking at aLondon Science Museum event with the Doctor Who writer (among other things! ), Paul Cornell. When the audience asked us about the contribution Doctor Whomade to science fiction, I was surprised to hear Paul say that he didn’t think Doctor Whowas science fiction. He thought it was about ‘galaxy and chips’. I was delighted with this response. So much so that we’ve used it in our Science of Doctor Who show ever since! When Peter Capaldi was asked by The Guardian newspaper why Doctor Who had kept its sense of wonder for so long, the Twelfth Doctor gave a similar response to Paul Cornell, “It is this relationship between the domestic and the epic. The sense that there's a bridge, that a hand can be extended, and you can step from the Earth, from the supermarket car park, into the Andromeda nebulae or whatever”. It’s that sublime tension again. 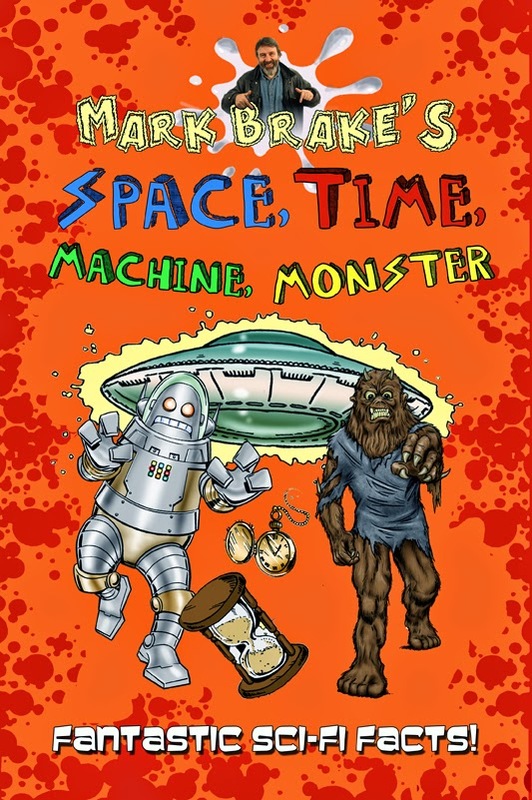 The book, Mark Brake's Space, Time, Machine, Monster, also examines how sci-fi helped build the world in which we live. It is is available to buy now from Amazon and the Candy Jar store. LETHBRIDGE-STEWART RETURNS IN NEW SERIES!